Eben Upton is best known as the man behind the Raspberry Pi, a tiny, $25 computer designed to help turn kids into programmers. Upton priced it at $25 because he thought that's around what an average textbook cost: "I now understand that's an incorrect estimate. If we had a better idea of what school textbooks cost we would have had an easier job with the engineering over the years," he joked to Wired years later. It's a funny story but also a sad story. 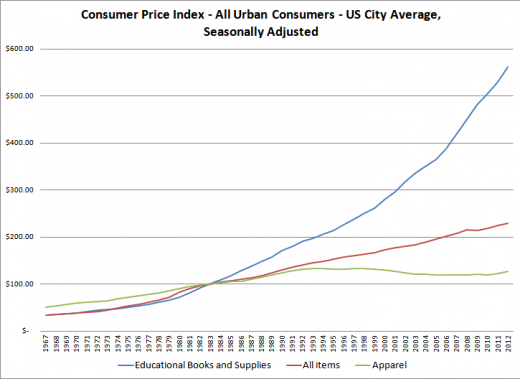 Textbooks are expensive. More expensive than most non-students even realize. 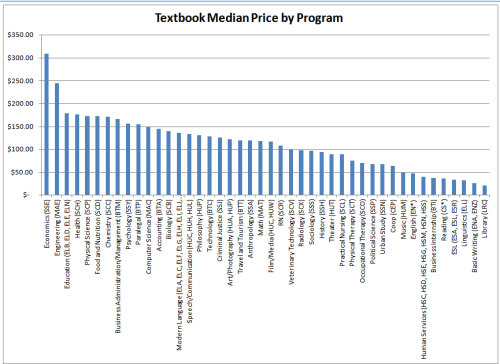 If you're wondering what your program costs, do a quick survey of your colleagues about their required textbooks. The results are probably comparable to what we see above. 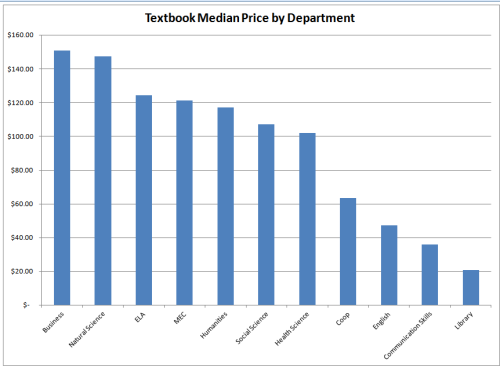 Open education resources (OER) are an attempt to solve the textbook pricing problem by giving students and faculty great content at more reasonable prices -- even free, which many consider to be the most reasonable price point of all. You'll often hear OER also referred to as open textbooks, but it's really so much more than freely accessible textbooks -- it's freely available class content. That means textbooks, but it also means course shells, syllabi, class assignments, and slide decks. So while OER discussions often focus on cost from a student perspective, it also has the potential to help faculty develop and refine their own course materials. Student cost savings is but one component of OER. Reuse: This one could probably be called use, but it would ruin the alliteration of their thesis. Reuse is simply using content, which implies access, but also implies certain rights, like the ability to download content for later use. Thinking about this in CUNY terms, Blackboard, which so many of us use for managing our courses, makes it tough to share in a broad way. We can provide access to anyone who asks, but what if someone is from outside of CUNY? What if the person doesn't know to ask for access? How can content be reused if it's hidden behind a login and password? Redistribute: This also has access implications. It's the right to freely share work, either with students or colleagues. OER content needs to be shareable. Also, while it's generally accepted that OER material is always cost-free in digital form, David Wiley hypothesizes there's money to be made in college bookstores printing OER material on-demand. Revise: OER is more about using static materials. An important part is the right to change material -- to change it so it works for your students. We've all worked with a textbook and wished we could change certain parts of it. OER allows you to change those parts that don't work for you. OER allows you to bend course materials to your pedagogy, rather than the other way around. Originally posted on Just Publics @365. Reposted under Creative Commons. Good article on a subject that I think will have huge implications on education in the future. You wrote that challenge is not finding material, but rather filtering it. What's the process for filtering the content? I'm assuming it's largely manual, but what other factors are involved? It's entirely manual right now. There are lots of disparate collections, so it's up to faculty to search them individually for content. Something that allowed someone to say 'Show me an assignment for chemical bonds' would be amazing, but instead, you just have to poke around in a lot of different places in a lot of different ways. Thanks for highlighting this topic; I agree that open educational resources are an important source of knowledge sharing. The Creative Commons group also has a set of initiatives in this area. Thanks for this post, it was a useful one. Today, we also have severaladmission portal for online degree registrations.